Ancient history - Travel back to the world’s first civilisations, from Ancient Egypt to Mesopotamia. Buildings, places & landmarks - Step inside some of the most iconic structures from around the world. 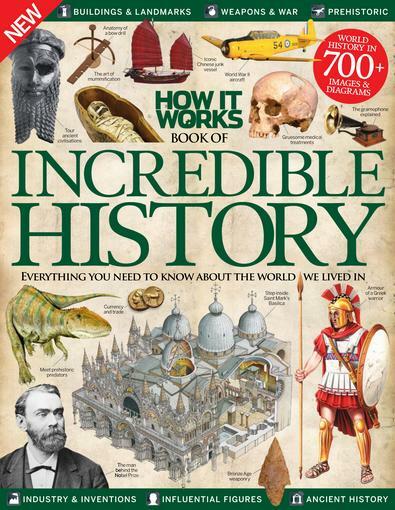 Influential figures - Meet some of history’s most prominent characters, from inventors to explorers. Prehistoric world - Encounter some of the deadliest predators to have roamed the Earth before man. Be the first person to tell us what you think about How It Works Book of Incredible History and you'll save $5 on your next purchase!